I was privileged to be able to speak at the 2016 Florida Tiny House Festival this past weekend near St. Augustine, FL. The Festival turned out to be much larger than anticipated, and every bit as good as promised. 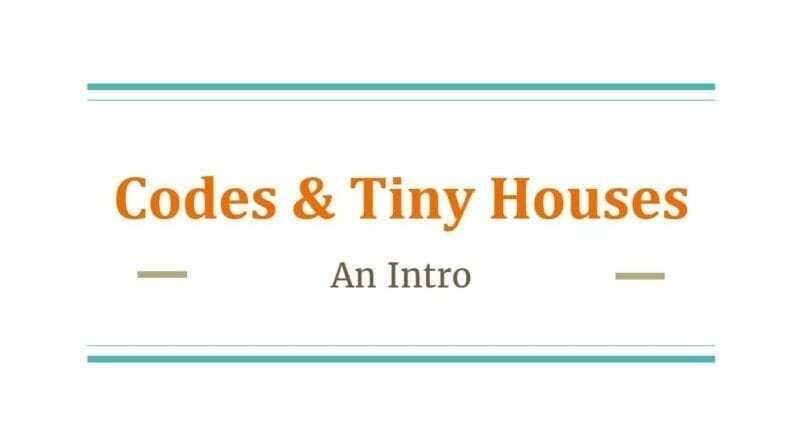 I spoke twice; once on Tiny Homes and Historic Districts, and then again on Sunday about Codes and Tiny Houses. Both talks seemed well received (no booing, no walk outs) and several people asked for my presentation notes on Codes when I was done. Due to that request, here is the Power Point I had prepared for the Zoning and Building Code presentation, albeit without my witty commentary and expansion on some of the outline items. The focus of the presentation was Tiny Houses on Foundations, but many of the items are also applicable to building a THOW. I am available to speak on this topic to any groups that might be interested in Florida.